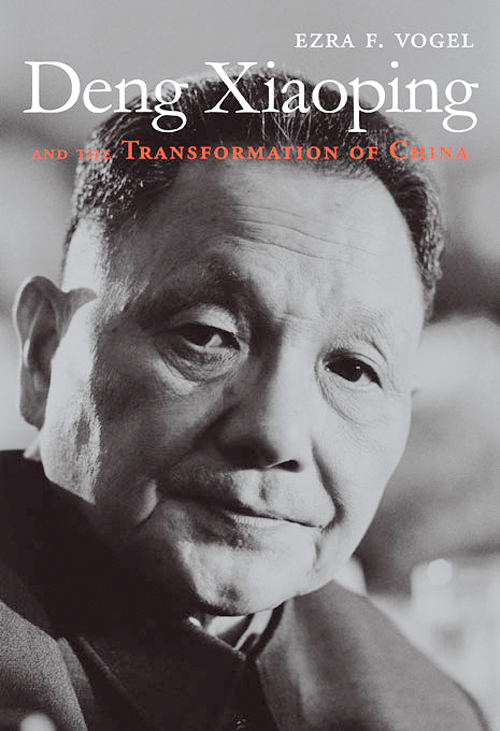 Rather, the key significance of the Singapore model for China has been primarily as a form of ideological confirmation, as it has provided an alternative telos for China as it modernises. Singapore shows what China can become: a highly modern but still one-party state undertaking carefully calibrated reforms. Thus, small though it is, Singapore has played an outsized role in reinforcing the CCP’s leadership’s belief that it can avoid the “modernisation trap” and remain resiliently authoritarian during modernisation and even after it successfully modernises. 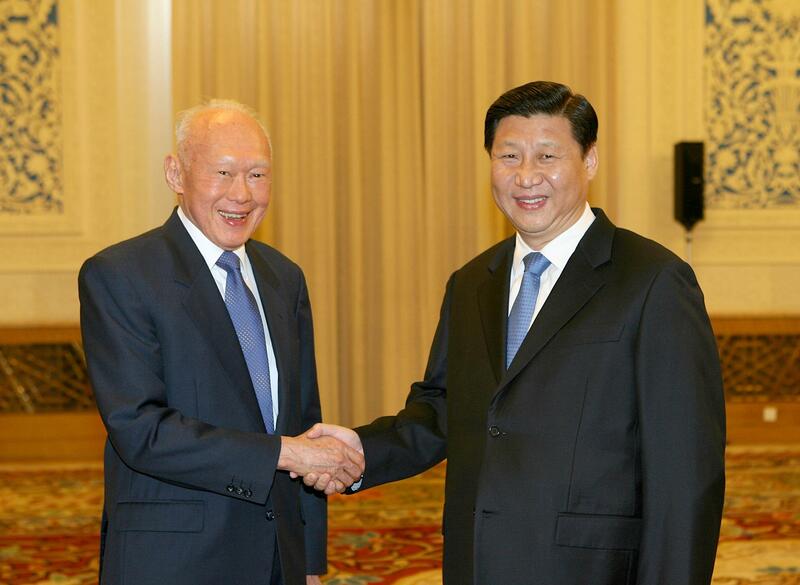 Posted in Character and Integrity, China, Foriegn Affairs, Governance, History, International Affairs, Leadership, Lee Hsein Loong, Lee Kuan Yew, Politics, Singapore, The Singapore Identity, Xi Jinping. Over two months after Mahathir Mohamad’s election in Malaysia, the political reverberations for Singapore show no signs of fading. The new Malaysian Prime Minister’s reviews of the key water-supply deal with Singapore and of the planned costly high-speed rail link from Kuala Lumpur to the city-state are only visible signs of a different — and more charged — Singapore-Malaysia relationship. The key problem for Lee Hsien Loong’s People’s Action Party (PAP) is that developments north of the Johor-Singapore Causeway have exposed vulnerabilities at home. The PAP has become the longest-governing incumbent party in Southeast Asia, and it no longer has undemocratic immediate neighbors. 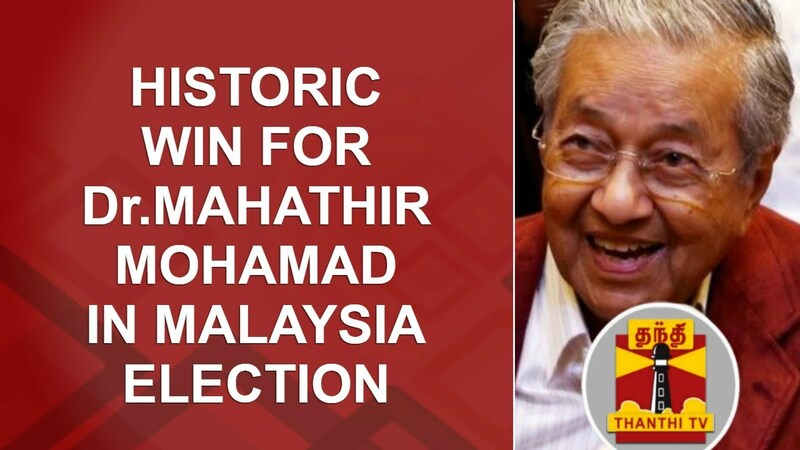 Mahathir’s Pakatan victory mirrors the PAP’s worst fear: its own possible defeat. Worse yet, some of the factors that contributed to the loss of Barisan Nasional (National Front) are also present in Singapore. The first is the challenge of leadership renewal. Over the past three years, the PAP has been locked in a battle over who should succeed Lee, 66, as prime minister, with the fourth generation (4G) leaders on display. 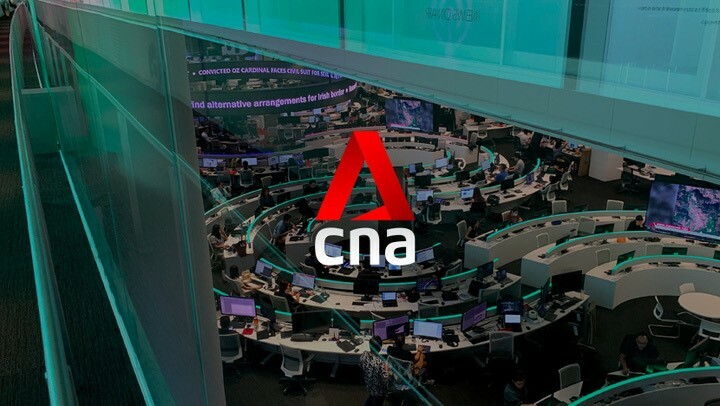 Among the leading contenders are Chan Chun Sing, the Minister for Trade and Industry and former army chief, Finance Minister Heng Swee Keat, former Managing Director of the Monetary Authority of Singapore and Ong Ye Kung, the Minister of Education and Second Defense Minister. The problem is that these leaders are 4G without the connectivity. They are in a highly elitist party, largely unable to relate to ordinary Singaporeans. 4G leaders also suffer from the same issue that haunted the National Front, namely they are embedded in the system. Emerging from within the party and government, particularly the military, they are from the system and are seen to be for the system. The intertwining of the PAP and the bureaucratic state has created singular agendas and resulted in a distancing from the electorate and its needs. For the first two decades of Singapore’s existence after independence in 1959, PAP secured all the seats in the legislative assembly. Since 1984, opposition politicians have won seats despite what the government’s critics describe as the sustained political harassment of opponents and the repression of public protests, combined with the alleged manipulation of electoral boundaries. In the last election in 2015, PAP secured 83 out of 89 seats with 70% of the vote. Since that resounding victory, more conservative forces within the party have gained ground. Despite their popularity, reform-minded leaders such as Tharman Shanmugaratnam and Tan Chuan-Jin have been pushed aside in favor of conservative alternatives. At the same time, Singapore’s system has moved in a more authoritarian direction, with curbs on social media and attacks on civil society activists. Prime Minister Lee, the son of Singapore’s founding father Lee Kuan Yew, is making the same mistake Najib did after the 2013 polls. He is depriving the system of a necessary valve for dissent, and moving the country away from needed reforms. He has failed to recognize that greater openness and policy reforms were integral parts of the PAP’s 2015 victory. The dominant mode has been to attack the Worker’s Party, its leaders and other opposition figures. These moves do not show confidence in a more open and mature political system — or even in the PAP itself. At the same time, rather than being an asset to his party, Lee is becoming more of a liability. This is the same trajectory that occurred for Najib. Questions have been raised about Lee’s leadership from the very public “Oxleygate” row with his siblings over their father’s home to the managing of Temasek, the republic’s sovereign wealth fund, by his wife Ho Ching. Singapore’s handling of scandal over 1 Malaysia Development Berhad (1MDB), the Malaysian state-run investment fund which saw millions of dollars siphoned out on Najib’s watch, will be in the more immediate bilateral spotlight; assessments will be made as to whether Singapore responded effectively to the alleged malfeasance and whether in fact Singapore’s purchase of 1MDB bonds strengthened the fund. Meanwhile, in Malaysia, Mahathir’s readiness to deal with 1MDB signals a willingness not only to clean up the system but to begin much-needed economic reform. Singaporeans will see obvious parallels with their own country’s economic policies. Singapore’s gross domestic product growth is expected to reach 3% this year, which is a significant drop from a decade ago. Importantly, much of this growth is being driven by public spending (as occurred in Malaysia under Najib), notably on infrastructure. New jobs are not being created in Singapore at the same high rate as in the past. Even more constraining, PAP continues to rely on immigration as a driver of growth, failing to move on from using a combination of low-cost labor and imported foreign talent to expand the economy. Population pressures remain real for ordinary Singaporeans, who continue to feel displaced. They are disappointed with the PAP’s tenacious grasp on old and unpopular models for growth. The pendulum of discontent has swung against the PAP. The government opted to increase water prices by 30% in 2017, and this year indicated it will raise the goods and services tax (GST) from 7% to 9%. The electricity tariff has risen by 16.8% to date this year alone. The cost of living remains high; Singapore has topped the Economist Intelligence Unit’s list of most expensive cities to live in for five years running. High costs are compounded by persistent inequalities that are increasingly entrenched. The Gini coefficient is at 0.46, but income gaps are deeply felt. Many locals feel they are being impoverished on account of foreigners. The social reform measures introduced for the “pioneer generation” (people born before 1950), and increased handouts before the 2015 polls, are being seen as inadequate to address the current social needs of disadvantaged communities. By comparison, Malaysia has removed the unpopular GST, and reform pressures for addressing contracting social mobility and inequality are substantial. Malaysia is now seen as a potential role model in areas of governance. For example, greater transparency and attention to inclusivity are evident in the multi-ethnicity of new government appointees. Singapore’s 2017 Malay-only presidency contest in contrast sent a signal of exclusion and an embrace of race-based politics. This is being compounded by the fact that Malaysia is being seen as bucking regional authoritarian trends, promising substantive political reforms and the removal of many of the draconian laws that Singapore has on its books. Changes in Malaysia have reduced Singapore’s regional comparative advantage. It is not just about greater democracy and changes in governance next door but also the attention “New Malaysia” draws to how Singapore has remained locked in the past, moving away from embracing an alternative future. Posted in ASEAN, Bilateral Relations, Foreign Policy, GE-14 Malaysian General Election, Governance, Human Rights, Leadership, Lee Hsein Loong, Meritocracy and Competence, Politics, Singapore, The Singapore Identity, Tun Dr. Mahathir Mohamad. Note: It was my good fortune to have worked with Mr. (Pak) Othman Wok when we together with Mr. Neville Watson were fellow directors of Sime Sembawang Limited, which was engaged in the fabrication of oil rigs and platforms for oil and gas sector. As a director, Pak Othman brought his vast experience to bear on deliberations of our Board. He was friendly and helpful to me, offering personal advice about building commercial networks based on trust and integrity. I shall miss him and offer Al-Fatihah in his memory. To Ibu Wok and family, Dr. Kamsiah Haider and I convey our heartfelt and sincere condolences. Mr Othman Wok, a former Cabinet minister and one of Singapore’s first generation of leaders, died on Monday (Apr 17) at the age of 92. A journalist, union leader, politician and Ambassador, Mr Othman’s courage and convictions made a difference to Singapore at a critical time in its history, said the late founding Prime Minister Lee Kuan Yew. Born in 1924, Mr Othman was the son of a Malay school principal. Despite objections from his grandfather, his progressive father sent the young Othman to Radin Mas School and Raffles Institution – both English-medium schools. 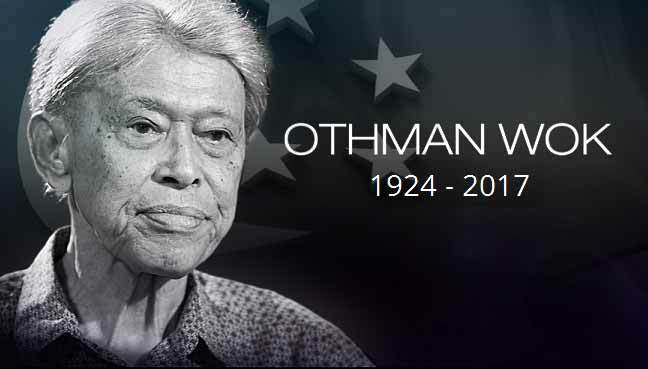 Mr Othman joined the Utusan Melayu, a Malay-language newspaper as a clerk, but was soon talent-spotted and offered a job as a cub reporter by its editor and managing director Mr Yusof Ishak, the man who was to become Singapore’s first President. While Mr. Othman was working for Utusan Melayu, he became involved in union activities, and it was as Secretary of the Singapore Printing Employees Union that he first met Mr Lee Kuan Yew – the union’s legal advisor. Persuaded to enter politics, he joined the People’s Action Party (PAP) a few days after it was formed in 1954. Mr Othman won his first electoral battle in 1963, but was to learn that achieving racial harmony was easier said than done. Following Singapore’s merger with Malaysia, racial tensions between the Malay and Chinese communities, stoked by fiery speeches by extremist Malay leaders from Kuala Lumpur, came to a head during the 1964 procession to celebrate the Prophet Mohamed’s birthday. For the rest of Mr Othman’s life, the horrific images would return whenever he shared his experiences. “The Chinese didn’t go to where the Malays went – the police station; they went to other police stations, so became segregated again,” said Mr Othman. “And my ministry had to prepare food for these refugees. Every day we cooked, in our central kitchen, and I went around in our lorries together with my staff, and we found that for example, I went to Paya Lebar Police Station, they were all Malays there, no Chinese. Then I went to another police station, Serangoon at that time, they were all Chinese there, no Malays. The late Mr Lee Kuan Yew said of Mr Othman: “I remember your staunch loyalty during those troubled days when you were in Malaysia and the tensions were most severe, immediately before and following the bloody riots in July 1964. “At that time, the greatest pressures were mounted by UMNO Malay extremists who denounced you and Malay PAP leaders – especially you – as infidels, “kafirs” and traitors, “khianat”, not to Singapore but to the Malay race. On the incident, Mr Othman simply said: “I was surprised, because not only I, but my Malay colleagues in the PAP stood together and faced the onslaught together with the Prime Minister, because we were fighting for what we believed in. Mr Othman’s loyalty to Singapore was tested again in 1965, when they were faced with the critical decision to support or oppose separation from Malaysia. “PM called me. He said: ‘Othman, come with me to the next room.’ And he said to me: ‘Would you sign this separation agreement?’ I said I would. I told him: ‘PM, the only worry I have is the Chinese in Singapore – what I meant was the communists in Singapore.’ ‘Oh,’ he said. ‘It’s my problem, I will handle it. You have nothing to worry.’ That was what he said to me. And the next year, when an independent Singapore held its first National Day Parade, Mr Othman made sure he was there – a proud member of the People’s Defence Force. Mr Othman was to serve for 17 years, 14 of them as Minister for Social Affairs.Promoting racial harmony was a key responsibility, as was the promotion of sports among the masses and encouraging athletes to represent Singapore. As Minister overseeing the Malay-Muslim community, Mr Othman’s legacy includes the setting up of the Mosque Building Fund as well as the Islamic Religious Council or MUIS, which sees to the welfare of Muslims in Singapore. After retiring from active politics in 1980, Mr Othman served as Singapore’s Ambassador to Indonesia and also on the Singapore Tourism Board and Sentosa Development Corporation. Mr Othman leaves his wife and four daughters. Posted in Condolences, Eulogy, History, Lee Kuan Yew, Singapore, The Singapore Identity. More than 95% of the approximately 2,000 Singaporean residents surveyed agreed that diversity is valuable, and that all races should be treated equally and with respect. They also reported that they lived peacefully with those of other races, standing up for them and accepting them. While it is not possible to ascertain the depths of interactions, many respondents said they had friends of other races and attended their cultural celebrations. The just-released Channel NewsAsia-Institute of Policy Studies survey on race relations captures the reality of multicultural living in Singapore. Broadly put, it sheds light on how Singaporeans have — or believe they have — interpreted and exemplified our shared ethos of multiculturalism. More than 95% of the approximately 2,000 Singaporean residents surveyed agreed that diversity is valuable, and that all races should be treated equally and with respect. They also reported that they lived peacefully with those of other races, standing up for them and accepting them. While it is not possible to ascertain the depths of interactions, many respondents said they had friends of other races and attended their cultural celebrations. Perhaps the Singaporean Chinese, who constitute three quarters of our citizen population, should get some credit for positive race relations in Singapore. Despite being an overwhelming majority, only a third of those surveyed supported the statement that “It is only natural that the needs of the majority race should be looked after first before the needs of the minority races”. But the strong endorsement of multicultural principles and relationships does not mean that our society is free from racism. About a quarter of respondents perceived themselves to be at least mildly racist while 38% of all respondents rated their close friends similarly. Asked how racist most Singaporean Chinese, Malays and Indians were, nearly half of respondents classified each of these generalised groups as at least mildly racist. Respondents were even more likely to use the racist label when asked to rate new migrants from China, India and the Philippines. This finding can be explained by social psychological research, which has shown that people often view themselves more favourably. We judge others based on their actions but justify our own behaviour by pointing to our good intentions. Nevertheless the survey showed that a significant number of people had seen racism on display by others, which reminds us that it still wields its head in our society. These racist behaviours are likely to be of a mild variety, for few of our respondents, including minorities, in the last two years, had experienced instances of insults, name calling, threats or harassment, which is the standard fare of racism in many societies. In Singapore, perceptions of racism tend to be based on interpersonal actions which may subtly convey that one group is inferior. In this regard, more minorities compared to majority members agreed that they had experienced incidents where “People have acted as if they think you are not smart” or “People have acted as if they’re better than you are”. While two thirds of minorities who experienced such incidents attributed these differential experiences to race, quite a number at the same time also linked this to their educational or income level. This implies that sometimes it is difficult to tease out the exact source of bias. Another manifestation of the mild form of racism that respondents cited has to do with the presence of racial stereotypes. Nearly half of respondents believed that people of some races are more disposed to having the negative traits such as violence, getting into trouble and being unfriendly. While stereotypes can be leveled at all groups, the effects of the stereotypes are different. Being labelled “enterprising”, “afraid to lose” and “money-minded” may be regarded as necessary traits for success in competitive market environments. But to be viewed as “overly religious”, “boisterous”, “lazy” or “smelly” may have rather dire consequence in how one is treated and might inhibit entry and progress in a profession. It can sometimes also convey that one’s racial and cultural background is essentially second class and subject to derision. Some have contended that racism can also be seen when people prefer a member of their race to fulfill certain roles. The survey results confirmed that most people are more comfortable with someone who is racially similar when it comes to marrying into the family, sharing personal problems, managing one’s own business, and the appointment of the Prime Minister and President. Such preferences seem to be etched deep into our being with some recent research claiming that even babies demonstrate such in-group bias in choosing which other baby in their playgroup they will help. However in-group bias is not always adaptive. Thus, many more minorities compared to majority respondents reported their acceptance for the majority race to fulfill many roles — only 38% of Chinese respondents would be accepting of a Singaporean Malay helping to manage their business while practically all Chinese respondents would accept a fellow Chinese in that role. However, 82% of Malay respondents said they would accept a Singapore Chinese in that role. This is because minorities who live in a space with many more majority members are aware that it is simply not tenable to expect only members of their race to fulfill important roles and relationships. But in our increasingly cosmopolitan city, majority members also should realise that it may no longer be useful even for them to accept only those who are racially similar to themselves in many relationships. The character of racism that exists in Singapore was not shaped by acrimonious histories that have plagued a number of societies, where specific groups have been actively subjugated, sometimes through slavery and worse still genocide. 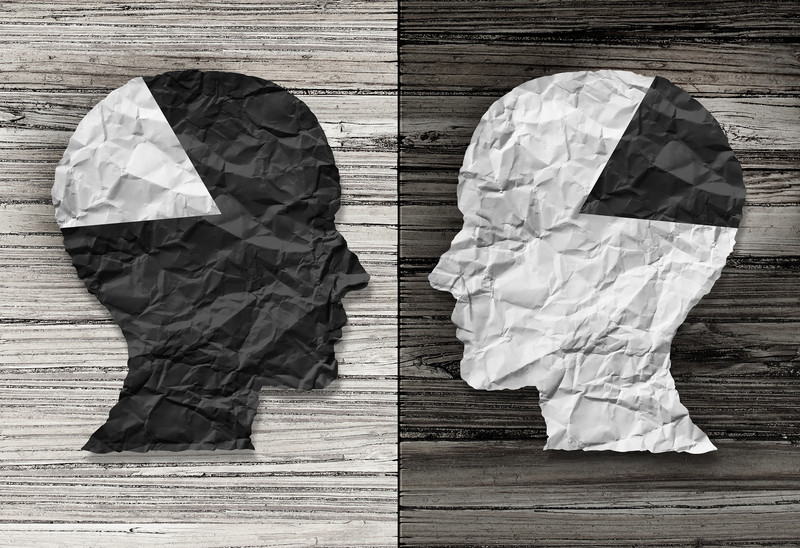 Rather, the vestiges of racism here stem from our innate in-group preferences which have sometimes left us lacking in sensitivity and self-awareness when we interact with those who are ethnically different. If we are to overcome this we need to talk about our differences, as much as we talk about our commonalities. It is through this process of frank discussion and an openness to understand others that we can eliminate unfair stereotypes and biases. With that, we can go beyond simply agreeing with our multicultural ideals to actually realising them in practice. Dr Mathew Mathews is a Senior Research Fellow at the Institute of Policy Studies, National University of Singapore. He was the lead researcher in the CNA-IPS Survey on Race Relations. This piece first appeared in TODAY on 19 August 2016. Posted in ASEAN, civil society issues, Democracy, Human Rights, National Unity, Politics, Race Relations, Racism, Social Issues, Social Policy, The Singapore Identity. So today I just want to write a brief note about why Lee Hsien Loong (LHL), the Prime Minister of Singapore, is so respected in and outside of his own country. Tonight GBA’s event is testimony of that– he could have chosen not to continue the speech. But knowing that this event would probably appear on the global press the next day (well, it IS a big deal that Singapore’s prime minister sort of “collapsed” briefly during its own National Day Rally), he had to and wanted to finish the speech. I don’t think the “Singapore system” will ever change in the next 20 years, but apparently for most Singaporeans, it works fine. And to head this system as Prime Minister with no doubt, with compassion and with the utmost mental strength is absolutely admirable. Oh yes and as a sidenote, haha, LHL actually is a great photographer and coder as well. I’m proud of my Prime Minister! And how many citizens of the world can say that of their Prime Minister? What i like about our Ministers…what they say they will do….they DO IT! you refute that? Just look at where SG was 15-20 yrs ago. Majulah SG!! And wishing you a long life PM LHL. Posted in Economic Performance, Economic Transformation, Ethics, Foreign Policy, Governance, History, Public Accountability, Rule of Law, Security, Singapore, The Singapore Identity.